Sometimes I get asked why I still skateboard. And sometimes – like when I’m picking my bruised and bloody body up off the concrete – I wonder why myself. The short and simple answer is this: I can’t help it. There are days when the weather is just too perfect, or days when I happen to pass by a particularly inviting bench or a curiously positioned series of curbs. My toes start to tingle and twitch in my sneakers, and all I can think about is hopping on my board and pushing down the pavement. There’s more to it, though. So much more. Skateboarding, for me, has become – and probably always was – about more than just having fun with my friends and getting out some excess energy. It’s always been about those things, too, of course – and, importantly, it’s never felt like it had to be anything more. But it is. It’s bigger. If it were only skateboarders reading this, I wouldn’t have to go on. The statements above would require no explanation. Hearing them, fellow skaters would most likely just nod in agreement and then go on to ask me if I’d seen So-and-So’s new video part or heard about What’s-His-Name’s new brand. I’ve never been asked by another skateboarder why I still skateboard, even though I can’t do all the tricks I used to be able to do, even though I can’t get up and shake off a fall as easily as I could when I was ten or twelve or even eighteen. They just get it. But others don’t. And that’s why I so often get the urge to try and explain it. Not because I feel the need to justify myself to anyone. I try to explain for the same reason I try to explain just what makes a good book so good – because when you encounter something great, something life-changing, it’s natural to want to share it with someone else (if not the whole world), to let someone close to you in on the secret. And no, that is not an exaggeration – once you’re under its spell, skateboarding truly will change your life. I can’t remember the first time I stepped on a board, or even the first one that I ever owned. Skateboarding entered my life and overwhelmed me so completely that it became impossible for me to imagine myself existing without it. I was, in a word, hooked. For one thing, it was more fun than anything else I could be doing. Being out there with my friends, learning and landing new tricks, discussing the mind-bending maneuver this or that skater had recently done down a set of stairs or a handrail – it was heaven. But the real reason behind the addiction, the thread – or, more like, the heavy-duty metal chains – that had me bound to my board and growing more passionate by the day, was the way in which skateboarding was constantly and permanently changing how I looked at, saw, and acted upon and within the world around me. You can skateboard anywhere, on anything. You don’t even need pavement. Skateboarders stuck in more-rural parts of the world have found ways to skate the woods. They ride larger wheels, sometimes ones with tire treads. They scrape away a downed tree’s bark and, waxing the smooth trunk, make themselves an all-natural rail. They pour concrete, hammer together two-by-fours, set up slabs of plywood. They look – they create – they skate. It’s a kind of art. But so is the skating that happens on the stairs and rails and ledges and curbs of our cities. These skaters are still looking, still seeing – seeing possibilities, seeing options – then making a decision and trying (and then often trying, and trying, and trying some more) to execute the trick that came to their mind to do. They’re leaving a bit of themselves – scrawling their name, in a way – on the world around them. It’s no coincidence that, early on in its history, skateboarding found itself growing in tandem with another controversial art form: graffiti. It’s less of a stretch, perhaps, for doubters to understand how someone else could consider tagging a wall with spray paint making art – it is, after all, paint. 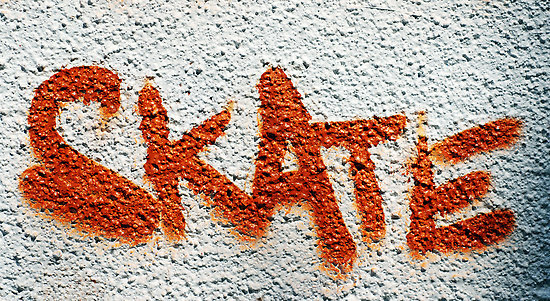 But at its core, graffiti is the same as skateboarding. They’re both manners of self-expression, ones which use the found world – be it the side of a building or a railroad car or, for skaters, the stairs and granite ledges of a city plaza or even a fallen tree – as its canvas. It’s also no coincidence that so many skateboarders prove themselves hugely talented in other creative endeavors. Countless professionals create their own graphics for boards and t-shirts. Tons also design their own shoes and clothes. Some skaters are also widely respected musicians and painters and filmmakers and actors (Ben Harper, Shepard Fairey, Spike Jonze, and Jason Lee spring immediately to mind). It’s also common and even expected within the skateboard community for skaters to launch their very own companies and brands. It might be hard to believe, but some of today’s most innovative, creative, and successful entrepreneurs are skateboarders working within the skateboarding industry, and I can’t readily think of another industry that so eagerly encourages and cultivates individuals’ (especially young individuals’) entrepreneurial spirits and talents. My argument being that all this creativity comes directly from the act (and art) of skateboarding. That if these people hadn’t spent so much of their lives atop a four-wheeled plank of wood, they wouldn’t have otherwise become the people they are now – that skateboarding crucially and permanently changed them. This is what I meant when I said that skateboarding changes the way one looks at, sees, and ultimately acts upon and within the world around them. Once you’ve begun skateboarding – and even long, long after you’ve stopped – you can’t help but see the world as a skateboarder. Visiting a new city, or even walking around your same old neighborhood, you can’t help but look at the architecture and landscape and imagine yourself (or, more often than not, a super-talented version of yourself) doing a trick on, down, under, over, or around it. You are constantly assailed with the urge, with the overwhelming desire, to create, to express yourself everywhere and anywhere. That alone is an incredible thing, a gift given by a piece of wood to countless kids all over the world. But there’s even more. 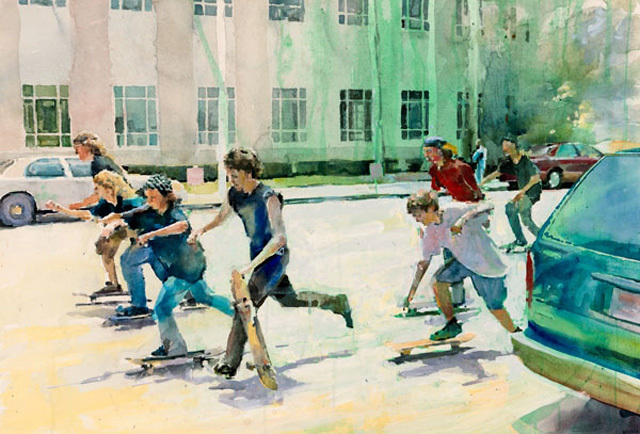 There’s something inherent in the act and art of skateboarding, something that carries with it another slew of lessons and imparts another bunch of critical skills and capacities. That thing is risk. All creation requires some kind of risk, even if that risk begins and ends with seeing for yourself alone what you can create (which, of course, is nothing at all to scoff at). But putting your creations out in the world, sharing them with others – that’s another risk. And when you get lukewarm or even negative feedback, when you meet with failure and rejection, it’s another kind of risk to pick yourself up and try again (and again, and again). But skateboarding teaches you that risk is necessary, and that risk always pays off. Yes: always. Even if you don’t end up landing the trick you just spent four hours attempting, even if your body calls a quits on you before the last of your determination drains away, you’ve pushed yourself, you’ve grown. Failure isn’t a bad thing. It’s fine. It’s even good for you. It’s a necessary part of the process. You walk away from a set of stairs with the taste of blood on your tongue, and in a perverse sort of way, you become even more determined to come back again and continue trying tomorrow. It’s the same with writing – or, really, creative pursuits of any kind. Falling down over and over again and still getting back up to try again is the physical equivalent of having a manuscript rejected over and over again and still turning back to it to make it better and send it out again. It’s even the physical equivalent of the day-to-day practice of writing. You pound out a couple thousand words, only to realize the next morning that only a hundred of them are any good. Or you get a dozen chapters under your belt, only to discover that you’ve got to change something back at the beginning, something that will completely alter everything that comes after it. Skateboarding has encouraged, cultivated, and stoked my urge to create while at the same time teaching me about the risks and rewards inherent in the process. Without it, I wouldn’t be who I am, and I probably wouldn’t be doing what I’m doing – or, at least, doing it quite as well. So I guess all this is why I continue skateboarding, and why I’ll probably always keep one foot in the culture (even if my other one is done letting me pound the pavement): to express my thanks for all that it’s given me, and to keep on gathering the gifts it has yet to give. Below I’ve included links to video parts from some of the most creative skaters out there. I encourage you to watch – and to seek out more videos, too – and hope you can see the artfulness and self-expression within them. Two friends and teammates have a fantastic time – and, in the process, absolutely devastate – a single mini-ramp. An instant classic packed full of mind-melting maneuvers and astonishingly fresh-eyed creativity – this pair of imaginative foot-wizards ought to get the jaws of even the uninitiated dropping. These are the guys who refuse to let any terrain tell them they can’t skate upon it. Brick, cracked pavement, snowy sidewalks, icy rails, random construction materials, logs, and rough, left-strewn, moss-marked, branch-riddled ditches – these dudes just don’t care where it is, they’re gonna hop on their boards and do their thing. Thanks also to Thrasher Magazine for continuing to post and promote the best skating happening, no matter where it is or who’s doing it. And one last note of attribution: the watercolor of the kids skating at the top of this post was done by Christopher St. Leger. 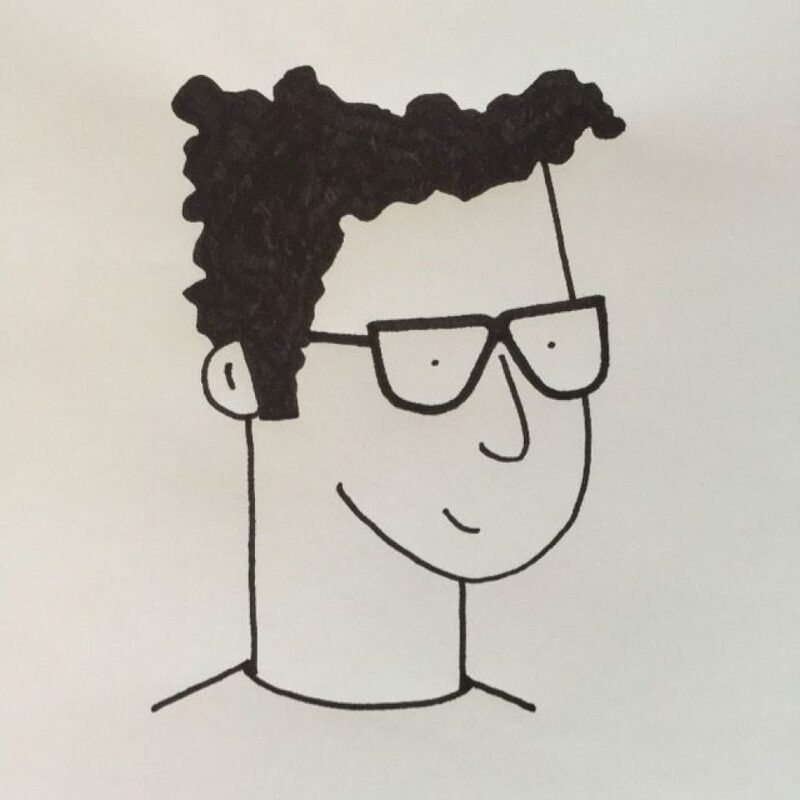 Click here to visit his website, where you can learn more about him, link to his blog, find out how to contact him, and see more of his great works.